Funding has been provided by Powys Association of Voluntary Organisations (PAVO) and Powys County Council (PCC) employees through the collection of the odd pennies (max 99p) taken from their monthly salaries. The scheme is open to the majority of employees throughout the Public Service Board (PSB). Staff are given the opportunity to sign up to the Powys Pennies scheme as a way of raising funds for the benefit of local community projects and charities in Powys, in addition adding to the delivery of the One Powys outcomes for Powys' people. 'PAVO is delighted to share with PCC a payroll giving scheme called 'Powys Pennies'. We have now collected enough money to distribute an inaugural round of small, community grants. Often a small amount of money can make a huge difference to a community in supporting the well being of its people. We are enormously grateful to PCC and PAVO employees that participate in this scheme by donating the pence at the end of their monthly salary. We trust you agree that your generosity has made a significant difference to people's lives. We'd be delighted to see more employees joining the scheme in order that we help a greater number of people in the future'. For more information or to apply please download the guidance notes and application form here. The closing date for all applications will be close of business on 31st July 2017. Successful applicants will receive their funding by 1st September 2017. “Income payable to or applicable for any institution, object or purpose which is legally charitable in such shares and proportions and is such manner as the trustees shall in their absolute discretion think fit”. By ‘discretionary’ in this instance we mean that the Trust likes to keep its options open and will fund a wide range of charitable causes. Nominally grants up to £1,000 are available, but in actuality the vast majority of grants are for between £150 and £350. During the year ending 5 April 2016 the Trust made awards to 184 registered charities and voluntary organisations (2015: 279 awards). PLEASE NOTE: the Trust does not maintain a website. Further information is, however, available on the Charity Commission website. The application process is ongoing and interested applicants may apply at any time in writing. The Trustees meet three times a year to consider applications. The Variety Club’s Equipment Grants scheme offers funding for specialist equipment which will be of clear direct benefit to a child or children up to the age of 18 with a disability/disabilities and/or with special needs. o Sensory play or mobility equipment for a nursery or playgroup. There is no lower or upper limit on the level of grant which may be awarded. However, most grants are for less than £5,000. Many requests are for sums under £1,000. Applications can be made on behalf of individual children. These must be supported by a letter from an appropriately qualified medical professional, such as an occupational therapist, physiotherapist or paediatrician. Applications can also be made from non-profit making groups and organisations working with children up to, and including, the physical age of 18 years. These include statutory bodies (schools and hospitals), hospices and small registered charities. The applicant must confirm that they will take responsibility to arrange for the maintenance and insurance of any equipment funded by Variety. o Trikes, bikes or buggies. Application forms are available to download from the Variety Club website. Payments are usually made on receipt of invoices from the supplier. Tyfu Fyny (Growing Up), a new initiative to boost community growing and local food projects in Wales, will be launched today [Friday, 23 June] at a unique gathering for community gardeners and farmers at Ffarm Moelyci near Bangor. There’s been a huge boom in community growing in Wales over the last few years, led by interest in issues such as future food security, climate change and health and well-being. There are now more than 400 community growing groups in Wales, according to the Federation of City Farms and Community Gardens, which has set up the Tyfu Fyny initiative with funding from the Welsh Government’s Rural Communities – Rural Development Plan 2014-2020. Research* has shown how local community growing projects can help bring communities closer together, boost health and well being, educate children about where their food comes from and increase skills. Tyfu Fyny also fits with a number of Welsh Government agendas** on the environment, health, education and training, economic development and community development. It will also deliver on overarching sustainable development commitments including climate change. Among the stand-out features of Tyfu Fyny will be an emphasis on getting Welsh business involved – research suggests businesses that work with community projects not only benefit from better staff morale and improved team work, but also has significant impact on a business’s reputation and ability to attract investment. There will also be intensive support and mentoring for Community Supported Agriculture, where local communities buy shares in working farms, and care farming - where farms are used as therapy spaces. Tyfu Fyny will be officially launched at the All Wales Gathering for community growers and farmers at Ffarm Moelyci, near Bangor, one of the UK’s first community owned farms. The Gathering, which runs until Saturday, is a chance for all community growing projects in Wales to come together to share, learn and celebrate. 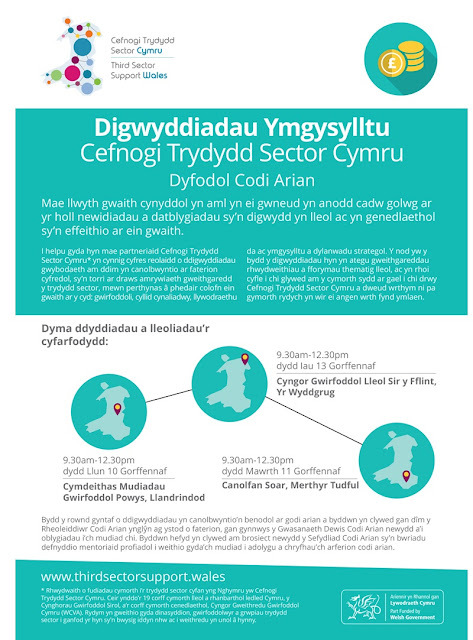 There will be informative and practical workshops, opportunities to meet and hear from projects around Wales. FCFCG Wales Manager Emma Williams said: “The Tyfu Fyny project supports all types of community growing projects in Wales. From community gardens to community supported agriculture projects (CSAs), care farms to orchards, community farms to street planting projects, if you’re bring people together to farm, garden or grow we can help. Local community projects and charities in Powys are being encouraged to apply for funds through the Powys Pennies Grant Scheme. Grants are available for small organisations in Powys with a turnover under £20,000. All applications from community projects and charities are welcomed but preference will be given to applications working in the health and social care, children and young people, mental health, community transport and community development/regeneration sector. The funding must directly benefit the organisation group or community through a specific one off activity and not be used for core organisational costs. The grant scheme is funded by Powys County Council and Powys Association of Voluntary Organisations (PAVO) employees through the collection of the odd pennies taken from their monthly salaries. When staff receive their net pay it is rounded down to the nearest pound, the pennies that are left over contribute towards community grants. Staff have been given the opportunity to sign up to the Powys Pennies scheme as a way of raising funds for the benefit of local community projects in Powys. Carl Cooper, Chief Executive Officer said: “PAVO is delighted to share with PCC a payroll giving scheme called 'Powys Pennies'. We have now collected enough money to distribute an inaugural round of small, community grants. Often a small amount of money can make a huge difference to a community in supporting the wellbeing of its people. Applications for the scheme will run until Monday, July 31, 2017. Applications will be assessed by a panel consisting of PAVO trustees and PCC County Councillors. All projects and activities will need to be completed by 31st March 2018. Alternatively contact Sarah Leyland-Jones sarah.leyland@pavo.org or telephone 01597 822191.
o Empowering children and young people to become more confident and pursue their aspirations. Priority will be given to organisations that are attempting to become more financially sustainable. The grants can be used for any element of the organisation's work as long as it is charitable. Grants must be spent within a 24-month period. Registered charities, voluntary and community groups, not for profit social enterprises and/or Community Interest Companies may apply for a grant of between £3,000 and £10,000. Match funding is not an essential requirement. o Be working in the UK. The Quadstar Foundation expects successful applicants to be proactive in identifying areas they require support with, taking part in mentoring and networking events. Beyond the life of the grant, the Foundation anticipates successful applicants will have an on-going relationship with the Foundation to enable subsequent grant holders to benefit from their skills and experience. There is a two-stage application process. Applicants that are successful at the first stage will be invited to submit a stage two application form with supporting documents. Applications should be made via the Quadstar Foundation website. The deadline for stage one applications is 5pm on Monday 3 July 2017. There will be one further funding round in 2017. Appointments must be booked by phoning 01597 822191. The Heart of Experian Charity Fund is a small, independent charity (no. 1159286), founded in November 2014, which provides funding to assist small groups and organisations that are often not heard to work at a grassroots level and help them become sustainable. o Have not received funding from the Charity Fund in the past 12 months. Grants of up to £5,000 are available. PLEASE NOTE, however, that the Charity is still building up its grant-making. In its first recorded year of operation for the year ending 31 March 2016, its grants and donations totalled just £37,688. Priority is given to applicants that have already secured match funding. o A charitable project which requires funding of £5,000 or less and benefits the local community. o Salary costs (unless the applicant has a clear strategy for the position’s future sustainability). Applications may be submitted at any time and are reviewed by the charity on a quarterly basis. Further information and an application form are available on the Heart of Experian Charity Fund’s website. Active Spaces is a new national programme which will create activity programmes to inspire the most inactive communities to get active and use their local outdoor spaces. The programme will secure 50 new Fields in Trust protected sites across the UK and help increase participation in many different physical activities in local parks, playing fields and green spaces which will be protected for future generations to use and enjoy. The programme is also designed to encourage people, particularly the most inactive communities, to participate in physical activity, sport and play. Inactivity in this programme 'inactivity' is defined as being those individuals doing less than 30 minutes of moderate physical activity per week. The Fund is intended for programmes on a newly protected Fields in Trust field (2017 onwards – contact the Fields in Trust or see its website for more information - there's a postcode checker at this LINK which is well worth having a look at as there are likely to be more Fields in Trust sites in your area than you might expect). Landowners, which will often be local authorities, particularly Parish Councils, can opt to select a programme to be delivered on the site by one of Fields in Trust’s national partners to the equivalent value of £5,000, or apply to deliver a programme themselves via a local delivery agent. > older people aged 55 and over. o Programmes must be completed within 12 months of a programme being awarded. o Other sport taster sessions. Applications should be made by the landowner of the Fields in Trust field. Applications can be supported by local user groups such as sports clubs and 'Friends of the Park' and their involvement in the programme is encouraged. If it is not the landowner leading on the programme delivery then a supporting statement from the landowner is required. Applicants should provide a basic budget for their programme if submitting an application not using a Fields in Trust delivery partner, including estimated costs, and any funding from other sources, along with the £5,000 grant requested from Fields in Trust. A budget is not necessary for applicants not opting to work with a Fields in Trust delivery partner. Applications will be assessed on site suitability and project impact and the assessment will also consider whether local funding has been secured to increase project value. Once the full quota of eligible and approved applicants in the region the fund shall close. Application is by application form, available on the Trust's website. The deadline for applications to be considered in the first round is Friday 7th July 2017. Applicants will be notified of the decision within three weeks of application submission, except where clarification or further information is requested. For further information about this programme, visit the Fields in Trust website. Rosa, the UK Fund for Women and Girls, is inviting applications from across the UK to round two of its Woman to Woman Fund. Rosa's Woman to Woman Fund offers grants of between £5,000 and £25,000 to local grassroots women’s organisations with an income of less than £100,000. Rosa especially wants to support groups that work with disadvantaged communities or in disadvantaged areas in the UK. Although in round two there is particular interest in the pillar of economic justice, applications across the four pillars will be considered. Rosa is particularly interested in funding work that increases impact and sustainability. Therefore grants can pay for core costs such as staff salaries, office rent and staff training; as well as project costs such as drop-in support services, mobilising volunteers and outreach. Rosa is committed to supporting voluntary sector organisations pay the living wage. Grants made towards staff costs will be paid a minimum of a Living Wage where possible. No fewer than 100 groups will be supported. Any grants awarded must be spent within 12 months of receipt. In addition to grants, Rosa will provide additional support that women’ groups say they need, including mentoring, training and networking opportunities. Charitable organisations in the UK can apply as long as they are a local women's sector organisation which is not part of a national enterprise, with an income of less than £100,000 per year or employ less than two full-time paid members of staff. There is a two stage application process. The deadline for stage one applications is 6 July 2017 (5pm). Full details can be found on the Rosa website. The £10 million Smart Energy GB in Communities Fund is currently available to local not-for-profit community groups that have a charitable purpose (for example, charities, clubs, social enterprises, residents associations, parish councils) that can help engage people and communities across Britain with information about how to obtain and use smart meters. The programme is especially aimed at projects that can reach those who may face barriers to getting a smart meter. This funding round is for projects which are specifically targeted at and engage people over 65 with no personal internet access to provide reassurance and handholding support to help them understand and realise the benefits of smart meters. This could involve a range of activities, including incorporating smart meter messages into existing services and events or running specific advice sessions on smart meters. Small grants of between £500 and £5,000 are available during 2017. There is no match funding requirement. Funded projects must commence on or after 7 August 2017 and be completed by 1 December 2017. The funding is only available in England, Wales and Scotland. During 2016, 62 small grants were awarded to local organisations and 18 large grants were awarded to regional organisations. o Round 2 is expected to open in August 2017 and close in September with notification of decisions in October. Guidance notes and an application form can be found on the CAF website. The completed application form should be submitted online or by email. For agencies working in the field of health and well-being, this one-off grant programme could represent an opportunity to form a partnership with a local library to develop a collaborative funding proposal to the Carnegie Trust. o Support libraries to share and reflect on their experience of public engagement and share learning about the barriers and opportunities that public engagement methodologies bring to the health and well-being offer within libraries. o An external evaluation to ensure learning and experience is captured and shared more widely. The programme is aiming to support around 8-10 libraries and activities must be completed between October 2017 and October 2018.
o Are developed and delivered directly by library staff inside or outside the library space with others or are developed and delivered in partnership with others, with activity happening inside the library space. o Travel expenses to attend the Kickstarter workshop. o Applications which are primarily aimed at health promotion or delivering arts for therapeutic purposes. Applicants must first read the application pack and then apply using the online application form which can be found on the Carnegie UK Trust website. Applicants are required to register on the site first. The deadline for applications is Wednesday 23 August 2017. 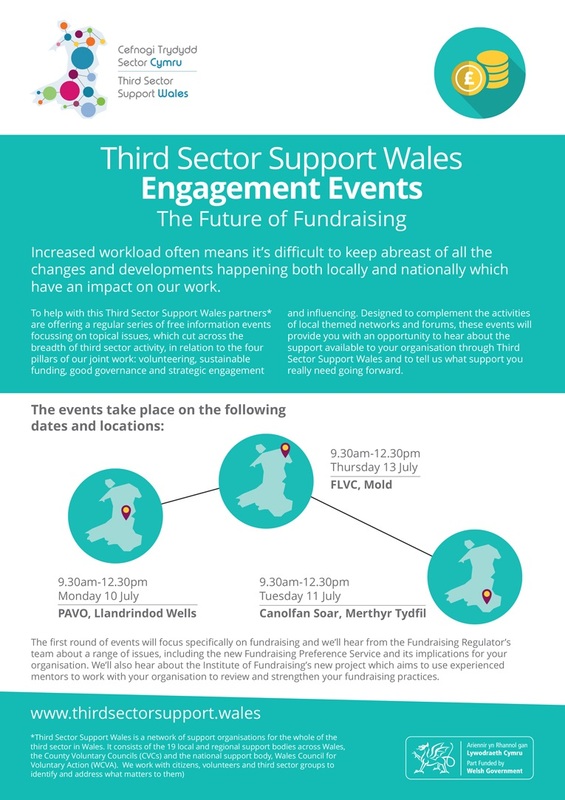 Funding is available for third sector organisations to run projects across Wales. The Asda Foundation provides grant funding to support capital costs, including buildings, renovations, vehicles and equipment such as computers and audio systems. o The project will transform the community, improving the lives of those who live there. Funding is at the discretion of the Trust. Grants awarded last years ranged from less than £1,000 to £383,536. During the year ending 31 December 2015 the Foundation made charitable donations totalling 4,640.863 to around 300 projects. o Have the systems in place to ensure their finances are well managed. Unsuccessful applicants will not be able to reapply for the same project. 5. Successful applications will be put to the board of trustees who review applications on a monthly basis. For further information, visit the Asda Foundation website. Once groups have been shortlisted, we'll be hosting a funding day on July 15th in Birmingham. If you're already a member please come and join us to help decide how we share out the funds. If you'd like to become a member, just fill out these quick questions and get them back to me asap. We're also celebrating five years of funding grassroots groups and communities. Please save Saturday August 5th in your diary to come and share a nostalgic evening with us. Expect music, food, dancing and lots of political banter.